Well I've only had them a few hours, so I can't say yet how well these will hold up. However I am pleased with them so far. A few things to clarify while reading other reviews: These are jute backed rugs. This is very common for area rugs. The people complaining that they slide around must not be familiar with jute backed rugs. This is easily solved by putting down rubber rug grippers. They do arrive folded, not rolled. Still for having them just a few hours they are already laying rather nicely and the edges are laying much better than the beat up rugs that they replaced. Colors: The description didn't really say what the colors are. 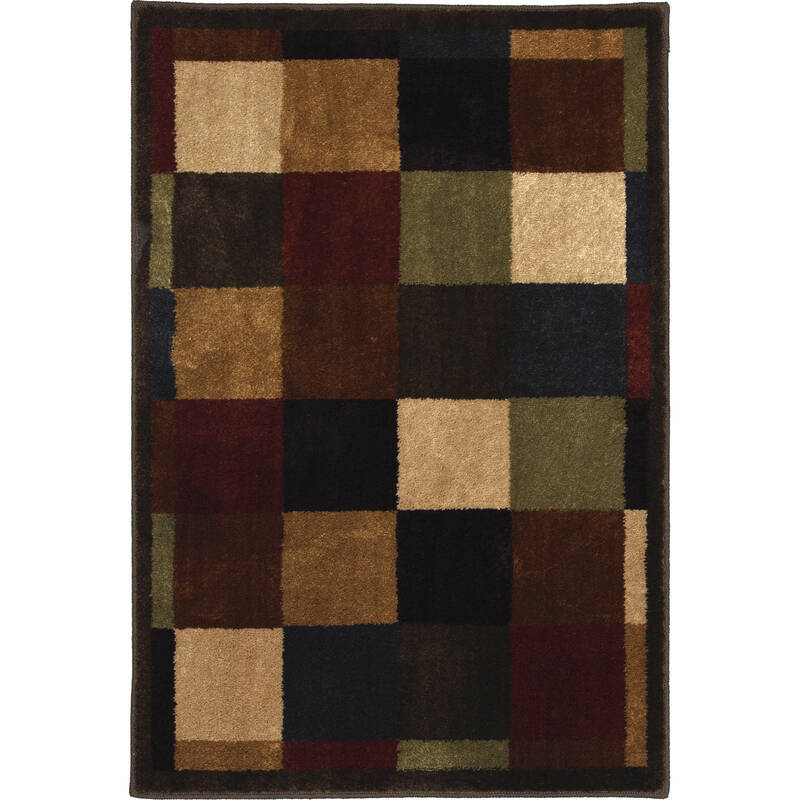 I searched the internet for a black rug with some burgundy, green or gold to match my kitchen decor. Apparently that is next to impossible to find these days but these go fairly well with my black counter tops, even though there is not any black in the rugs. The colors are: dark brown, light brown, burgundy, olive green, purple, navy, tan, and a dark gold. The dark brown, purple and navy are all very dark and in shadows do look black. Hope that helps someone. Home territory searches the web to find the best prices and availability on Area Rugs and related products foir your home like Better Homes and Gardens Bartley Area Rug. For this page, related items include products we find that match the following keywords: "Rug Area" at our vendor partner Walmart - Click More Info / Buy Now to check for price rollbacks!. Better Homes and Gardens Bartley Area Rug is one of 82 Area Rugs and related products available for sale through HomeTerritory.com, If you have any questions on this product, please give us a call at 734-971-1210 during the hours of 9am - 5pm EST for assistance. Thank you for shopping at Home Territory, the home furnishings superstore!